We recently caught up with the incredible Ramdesh Kaur, Kundalini Yoga teacher, Hostess of Spirit Voyage Radio with Ramdesh Kaur and author of the book The Body Temple: Kundalini Yoga for Body Acceptance Eating Disorders and Radical Self-Love coming out this September. At the heart of of Ramdesh’s teachings is self-love. 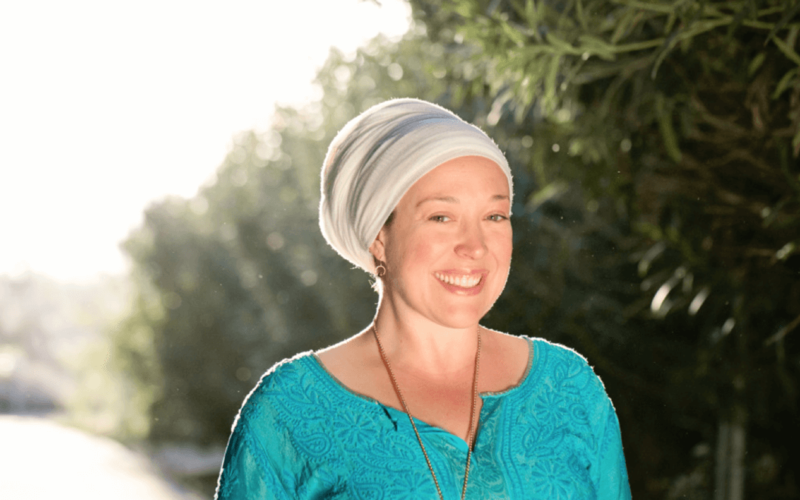 We are so excited to share with you this interview with Ramdesh and are thrilled to join her at Sat Nam Fest Berkshires this August 17-21 for Kundalini Yoga, radical self-love and lots of fun! How did you find Kundalini Yoga? I stumbled upon a Snatam Kaur album (Shanti) in the gift shop of the Omega Institute while I was there on a personal retreat years ago. After the second song, I never looked back. It was so abundantly clear to my heart that this was my path. What is your intention for teaching the workshop The Body Temple: Body Acceptance and Radical Self-Love at Sat Nam Fest? What can we expect to do in your workshop and what would like your students to take away from the experience? When I approach a class, I’m interested in teaching people’s hearts. I want to share the experience of feeling profoundly at peace in one’s physical body. I believe that our culture has made us disproportionately identify with our physical bodies and how we look and who we attract. I want to help people erase this cultural programming and explode into a sense of radical self-love and inner peace. I’ve had eating disorders myself and struggled with body acceptance. I can remember bitterly painful years feeling excruciatingly uncomfortable in my body and really hating how I looked. I know the joy that Kundalini Yoga has brought me and the deep healing, so I wanted to share that with others. My publisher really encouraged me to write a book that anyone who has ever felt uncomfortable in their body could relate to and use to heal, so I set out to write just that…a book that’s really about straight up body acceptance and radical self-love for everyone. You will also be co-teaching a workshop with Krishna Kaur at Sat Nam Fest called “Sat Nam Women: The Warrior Sistah!” This is a unique workshop and a first for Sat Nam Fest. Who is this workshop for and what will it be about? First of all, Krishna’s amazing. She was the teacher who first made me want to be a Kundalini yoga teacher myself. She did this powerful and ridiculously intense class that ripped my heart open and took all the anger right out of me. It was so epic, that I went …I HAVE to do that for other people! So it’s really an incredible honor to come full circle and teach with her. I’m hoping we’re able to do that same thing…give an incredibly epic journey to the people who come, one of power, of radiance, and of transformation. Expect to have fun and go deep! Too many to name! How can I pick one? This is an impossible question!!! The one I’m chanting everyday these days is Guru Guru Waheguru Guru Ram Das Guru, which is a healing mantra and a miracle mantra, but I tell you…it’s a mantra that just fixes things. Anything that’s out of whack, it re-whacks it. It makes my mind, body and spirit feel totally in harmony, and right now I’m chanting the heck out of it because I love it so much. What do you enjoy doing outside of teaching Yoga? I’m kind of the quintessential new age gal. I love crystals and ceremonies and goddess art. I garden; I have about 50 rose bushes that I’m in love with…they smell incredible! My husband Harnam and I have a pond filled with goldfish that are super friendly…he teases me by calling me “Mother of Goldfish” (Game of Thrones anyone?). I love to read and write. This year, my husband and I have been blessed to visit India, Nepal and England, and I’m always yearning for the next journey. I’m a Sagittarius and a traveler at heart, I can’t help myself! Join Ramdesh for a Pre-Release and Book Signing Party on Saturday, Aug. 20 at Sat NamFest! Join us in the Spirit Voyage booth for joy, laughter, self-love and an opportunity to meet the author and get a signed copy of The Body Temple: Kundalini Yoga for Body Acceptance, Eating Disorders & Radical Self-Love! Learn more about Ramdesh Kaur.